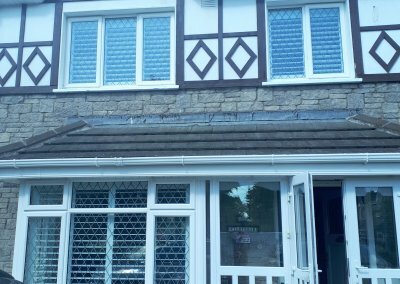 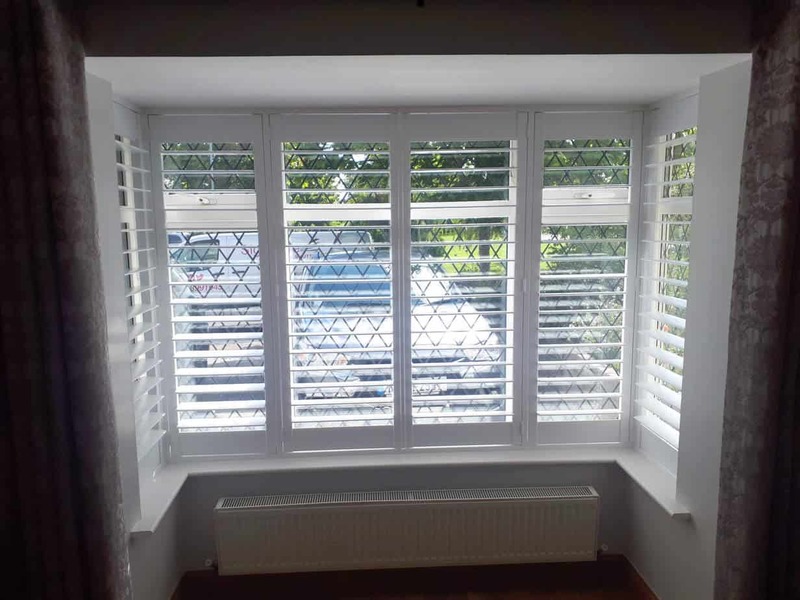 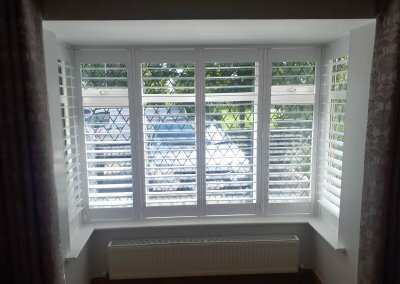 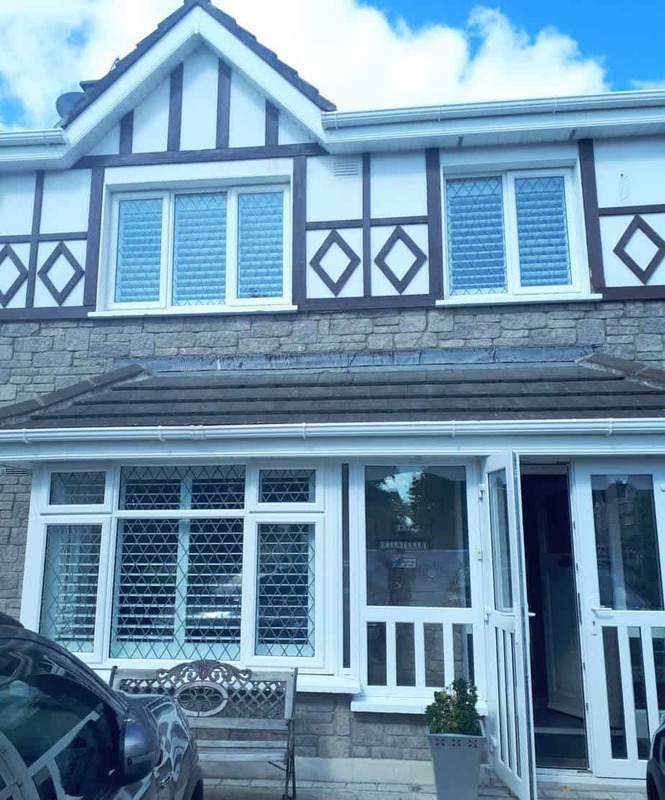 White plantation shutters installed in Ratoath, County Meath. 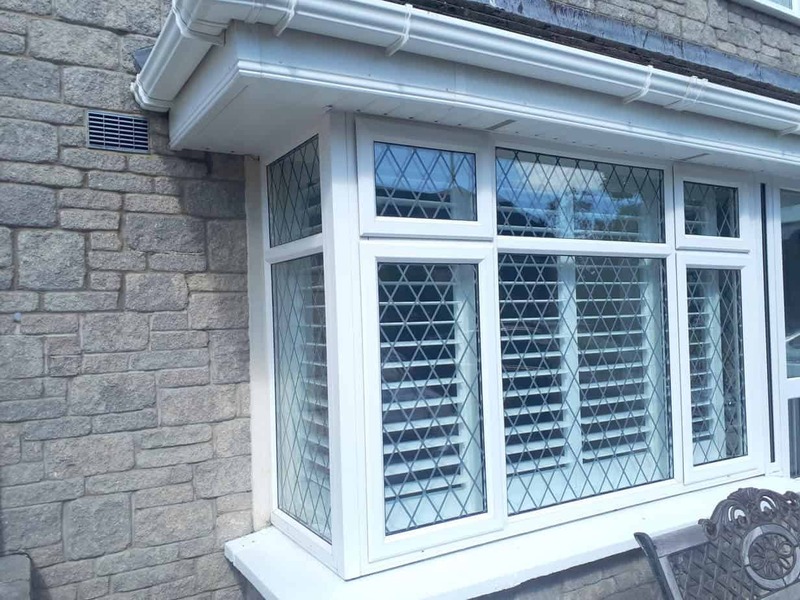 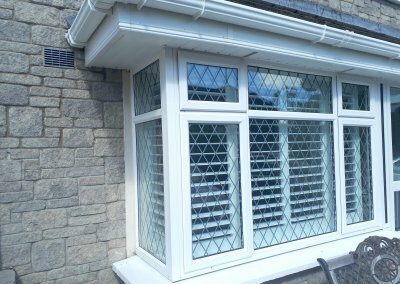 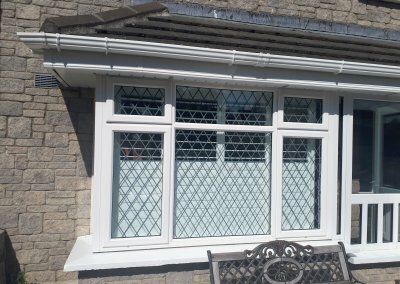 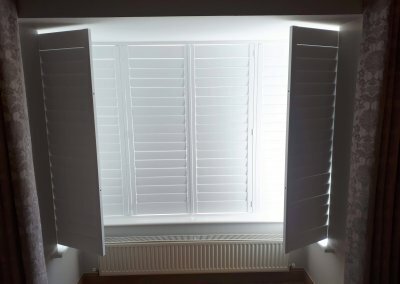 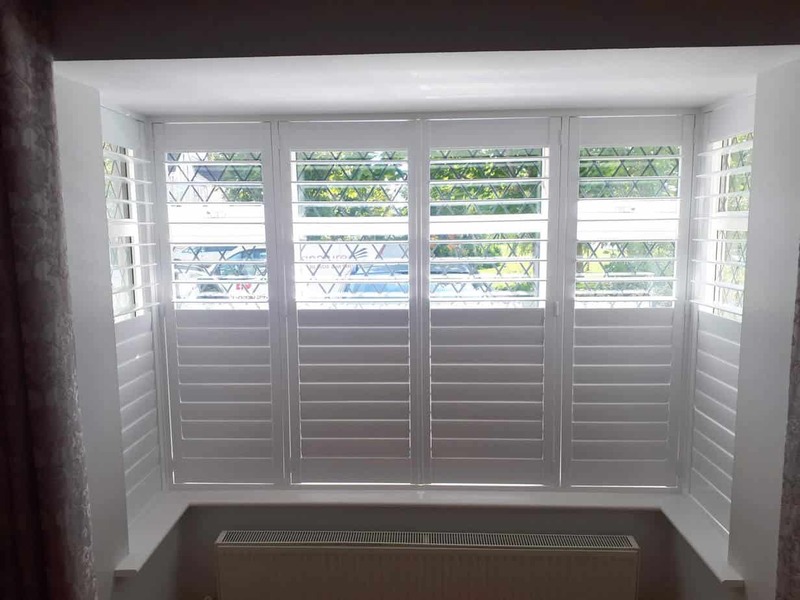 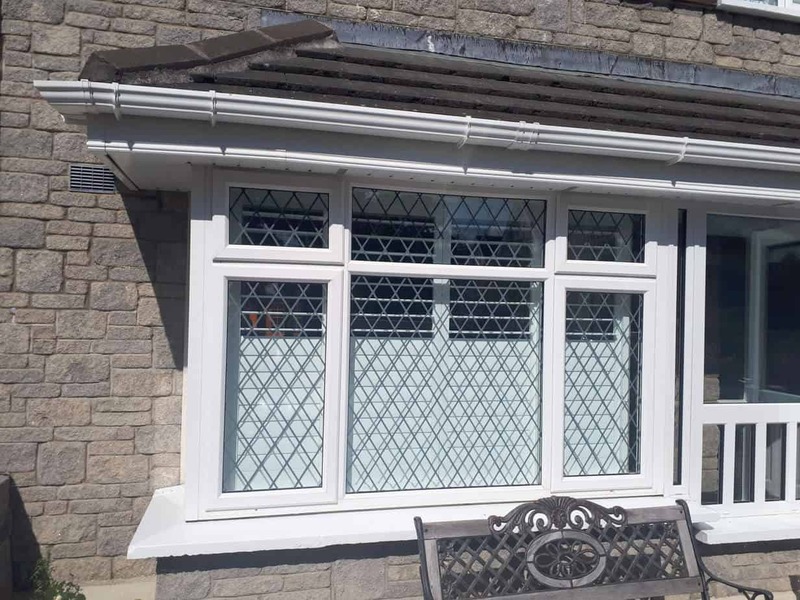 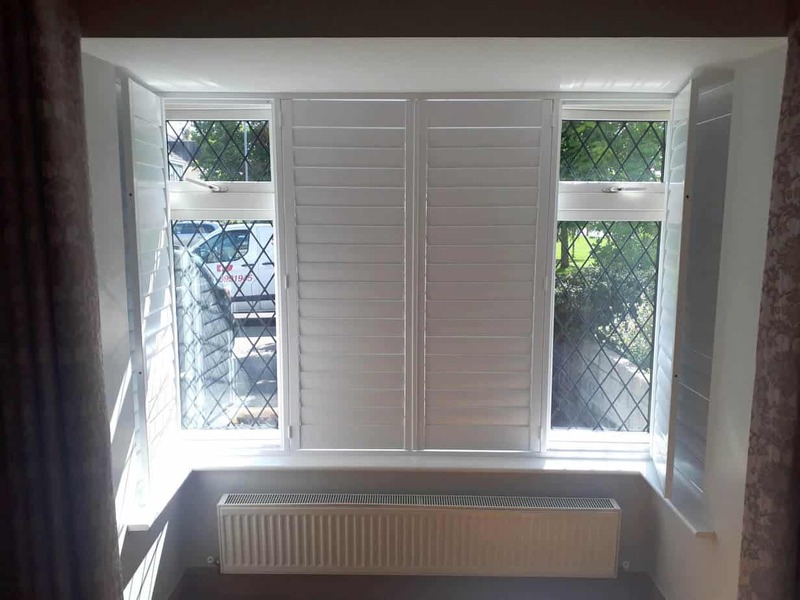 These shutters come with a hidden tilt which means that you will be able to open and close the louvres by pulling or pushing just one. 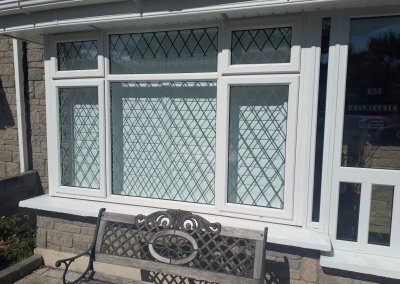 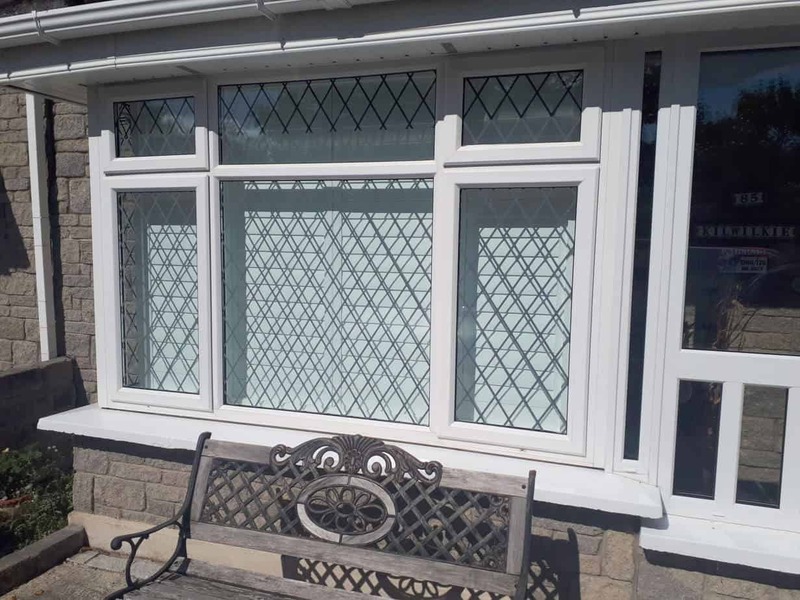 There is also a split tilt which separates the shutter into two different panels. 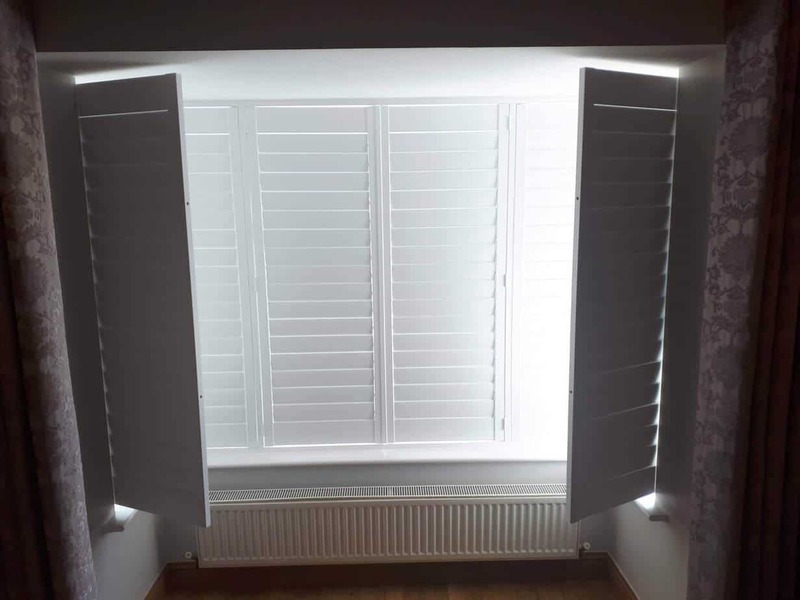 This means one part of the shutter can be opened while the other can stay closed. 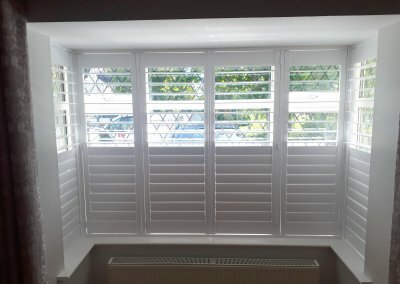 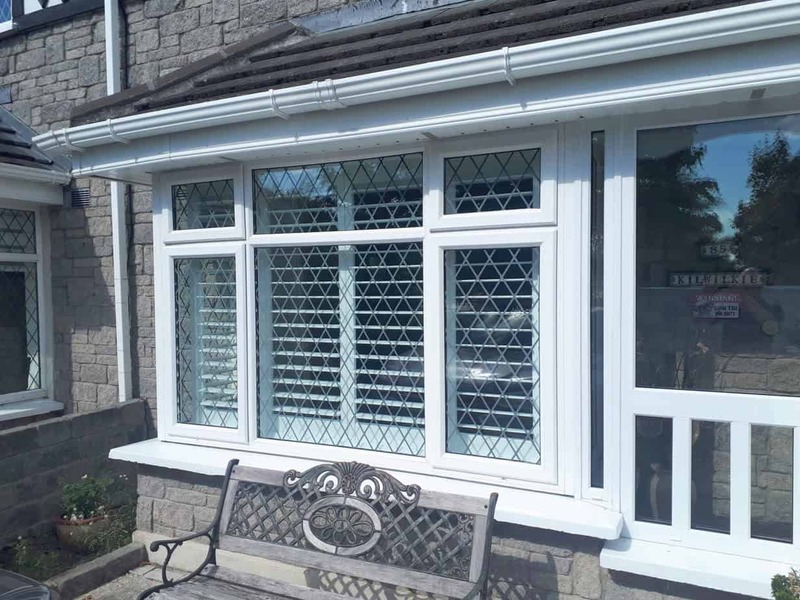 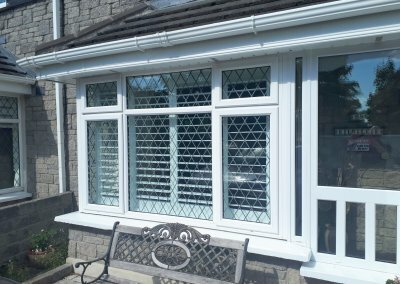 Call Us on 018991945 to get more information about our vast Plantation Shutters & Window Blinds ranges.